Mission Viejo Library – Besides boosting brainpower, the library plays host to a series of marvelous events and activities such as Story Time for tots, the Timeless Melodies Holiday Christmas Program, and Guitar Lessons for all you budding rock stars. The ‘Character Quality’ sign on the corner of La Paz and Marguerite. 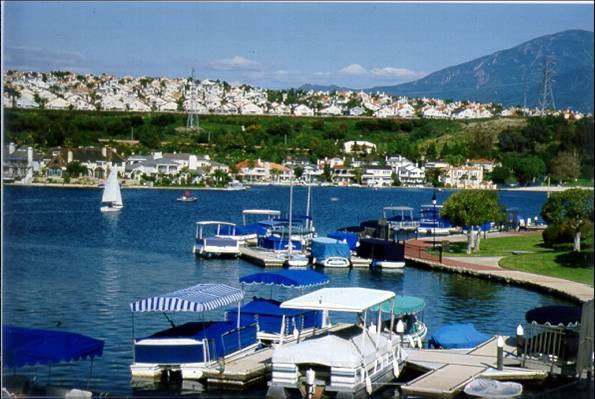 Lake Mission Viejo – It might be too cold for sunbathing, but you can still bundle up and thrill the Parade of Lights or see your kids rise to superstardom in the 18th Annual LMV Kids’ Fishing Derby. Mission Viejo High School – Recognized as a California Distinguished School and National Blue Ribbon School, this leading educational institution also has a powerhouse football team and hosts a number of community events. If you’d like to learn more about all that Mission Viejo has to offer, I’ll be delighted to help. You can connect with me at 949.338.7408 angie@askangie.com, @AngieWeeks or @WeeksTeam.